The veteran Blue Jays farmhand tweeted the above comment in the wake of Tim Tebow signing with the Mets for a $100 000 bonus after a whirlwind courtship with several teams, the Blue Jays reportedly being one of them. There is no doubt about Tebow's athleticism, but at age 29, and not having stepped on a ball diamond for 11 years, he just not was worth the relatively small signing bonus (albeit one that far outnumbered the one Lawrence and hundreds of other minor leaguers received). Tebow will report to the Mets' Instructional League camp later this month, but he will be taking one day off per week to honour his college football broadcasting commitment. He will no likely help generate some early buzz for the Mets next spring training, but it's hard to see him breaking camp with a team at the end of March. Never one to turn down a look at an athlete with some projection, the Blue Jays likely considered the lengthy odds against Tebow, and said no, thanks. 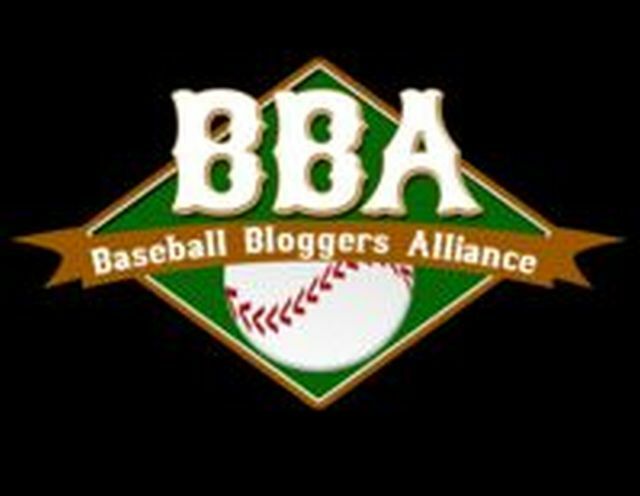 Former Toronto Sun Blue Jays beat reporter Bob Elliott reported on the Canadian Baseball Network site that the Blue Jays have cancelled the annual (since 1982) R. Howard Webster Award winners weekend. Named for one of the Blue Jays founders, the Award recognizes the MVPs of each Blue Jays affiliate. For 30 years, the club has brought these prospects to Toronto late in the season to meet the media, and generally become familiar with the city. It's not surprising that the new regime has opted to discontinue this tradition, and may hold some sort of ceremony next spring. With a full house in attendance almost every night, and tv ratings experiencing a boom, it's hard to think that the bottom line might be one of the reasons this event was cancelled. Bringing the players to the city (as well as the organization's top scout for the year) was a great PR gesture, and introduced these future Blue Jays to the fans. It was also great recognition for the players, many of whom toil in anonymity. Few would be able to afford a weekend on a minor leaguer's salary, as well. Inquiries to the Blue Jays as to why the event has been ended have gone unanswered. Three affiliates were involved in playoff races that went down to the final days of their respective regular seasons, but in the end, only Dunedin made it to the post-season. With 10 days to go, both Bluefield and Lansing were in playoff positions, but both stumbled down the stretch, and found themselves on the outside looking in when the season was over. Dunedin played a lot of baseball in their best of three division final with cross-town rival Tampa, a Yankees affiliate. While the major league partners were doing battle last week in New York, the minor league teams played an epic series, with Tampa the eventual winner. Game 1, played in Tampa, was a classic pitcher's duel. The teams traded runs in the 3rd inning, then were shut down the rest of the way by the Yankees' Yefrey Ramirez, and the D-Jays' Luis Santos, who struck out 10 over 8 innings. The end of 9 innings saw the teams still deadlocked at 1. Both had runners in scoring position with two outs in their halves of the 11th, but couldn't score. Tampa finally scored in the top of the 13th when top prospect Gleyber Torres cashed in the winning run on a double to left. The D-Jays were blanked in their half of the inning, and Tampa had a 1-0 lead in the series. Facing elimination in game 2, the D-Jays got to work quickly, as an Anthony Alford walk to lead the game off eventually came around to score on a Max Pentecost sac fly. Dunedin added a pair in the top of the 2nd, but Tampa got those two runs back in their half of the 2nd on a Home Run off of starter Jon Harris. The teams traded zeroes until the bottom of the 8th, when Tampa tied the score. Not to be undone, the D-Jays re-took the lead in the top of the 9th, only to have Tampa tie things up in the bottom half. Tampa failed to score in their turn at bat in the 15th, so the series was headed to a third and deciding game. The home Yanks scored first in the bottom of the first inning, but Dunedin got that run back on a solo HR by Ryan McBroom in the 2nd. Tampa scored again in the bottom of the 4th, but the D-Jays matched that with a run in the 5th, and took the lead with 4 more in the 6th. The bottom of the 6th proved to be the turning point in the series, however, as Tampa scored 6 times against tiring Dunedin starter Connor Fisk, taking a 9-6 lead. The D-Jays scored a run in the 7th, and narrowed the lead to one by scoring a run in the top of the 9th, but stranded pinch-runner Josh Almonte, who came into the game to run for Pentecost after he had doubled in Dunedin's 8th run. With the tying run in scoring position and only one out, Tampa reliever Jordan Foley struck out Matt Dean and Mike Reeves to preserve the win, giving the Yankees the series win in the process. It was a great series for both sides. Dunedin's J.D. Davis hit .467 for the series, including a 5-7 night in game two. Dunedin rode a 43-23 second half to reach the post season, one of the best half season records for a Toronto affiliate in recent memory. They came to pro ball from three different, non-traditional directions. But 2016 ended on a high note for right-handed pitchers Jordan Romano, Jackson Lowery, and Gabe Noyalis. Romano, a Markham, Ontario native, was playing for the Ontario Blue Jays (a Toronto-based travel ball team), when he played in a tournament in Oklahoma. The former Canadian national junior team member caught the eye of a recruiter at Connors State, a junior college in Muskogee. He pitched for the Cowboys for two seasons before moving to Oral Roberts, a Division 1 school about an hour away. Romano served as the Golden Eagles closer, and was drafted after his junior year in the 10th round by the Blue Jays in 2014. Romano had a strong pro debut, striking out 34 hitters in 28 innings (all but 3 of them with Bluefield), and headed into 2015 full of optimism. A torn UCL near the end of spring training put his plans on hold, as Romano underwent Tommy John surgery, and missed the entire season. Lowery attended Central Arkansas out of high school as an infielder, but transferred after his freshman year to Meridian (MS) Community College to become a pitcher. The next year, the Arkansas native returned home to realize a dream and pitch for the Razorbacks. In his senior year, he became a mainstay in long relief for Arkansas late in the season. Undrafted after that season, the sinker/slider pitcher signed as a free agent in early July of 2015. Lowery was determined to prove the teams that passed on him wrong. He pitched in the GCL and at Bluefield last summer. Gabe Noyalis may have taken the most unconventional route to pro ball of this trio. Noyalis pitched for Bucknell in his first year of college play, then transfered to D3 powerhouse Misericordia for his sophomore season, only to walk away from the game completely after that campaign. He did start to hit the weight room regularly after that, and fell in love with lifting. Baseball was off his radar until the spring of 2015, when his former high school coach asked him to throw some BP to the team prior to a state playoff game. Noyalis hit 91 with this fastball, and with some encouragement got in touch with Blue Jays scout Matt Anderson, who was his 7th Grade basketball coach. After auditioning for a few teams, Noyalis signed with the Jays after hitting 98 at Anderson's baseball camp in Texas. Romano threw himself into his rehab after his surgery last spring, was pitching off a mound again by January, and was throwing batting practice a month later. Held behind as spring training camp broke, he was itching to get into game action. Romano, who was told he would be a starter this year, began pitching in two and three inning stints in extended in April, and was sitting 92-94 with his fastball. By late May, he was up to 5 innings, as the club determined his readiness to get back into competition. His first appearance in 22 months came on June 13th, as he limited Great Lakes to one run and two hits over 7, striking out 7. He struggled at times with his fastball command, but it improved as the summer progressed, and he described his slider as, "the best it's ever been." He put everything together in a late August start against Dayton, fanning 10 in 6 innings in one of the best starts by a Blue Jays minor league pitcher this year. He was removed from the start for precautionary reasons in the top of the 7th after losing control of a couple of fastballs and was shaking his arm as he walked off the mound, but tests revealed no damage, and he returned to action in a piggyback role with top draft pick T.J. Zeuch before the season ended. For the season, Romano was 3-2 with a 2.11 ERA, which would have led the Midwest League if he had enough innings to qualify. He struck out 72 hitters in as many innings, walked 27, and MWL hitters managed only a .191 average against him. When asked what he learned from his first year of full season ball, Romano responded, "(I) Learned a good routine with throwing and working out that helped my arm feel good. A big thing is that if I had a bad start or two I shouldn't try to change a bunch of things. Just try to stick with what got me here." His plan for the off season is to improve his fastball command. For next year, his goals are to improve his change up to the point where it's a viable third pitch, and make it as high as AA. Lowery stayed behind in extended when spring training broke, and was sent to Vancouver when short season play began in June. Northwest League hitters were over matched against him, and after 9 appearances, he was on his way to Lansing. Lowery was lights out for much of August for the Lugnuts, reeling off 8 scoreless outings at one point, but he had a couple of rough outings down the stretch as Lansing fell out of a playoff spot, and it weighed heavy on him, saying, "I didn't finish like I wanted and let my team down a few times. (It) will make me better this off season." I learned a lot this year. One of the biggest things I learned is to focus more on certain things in pregame throwing and limit my throws. I could definitely feel a difference when I didn't throw as much and made each throw important to what I needed to work on. He also joked that he learned that the higher the level, the less he needs to throw his fastball. Sometimes the best lessons are the most painful ones. Lowery's plan for the off season is to get stronger and put on weight - at 6'/175, Lowery has always been viewed as undersized. He may have been a bit disappointed with how his season finished, but he put together an impressive body of work this year. Noyalis headed northwest with Lowery to begin the season with Vancouver as well, and had a pair of scoreless outings in his first mound action in four years. The next six weeks did not go as well, and Noyalis' ERA ballooned to 8.41 by mid-August. His final two weeks in the Northwest League were a much different story, as Noyalis ended the year with 4 scoreless outings in his final 5 appearances, striking out 4 in 2 innings in his final game. I learned a lot, mostly how to handle the workload of a professional season, the pace of the game, the ins and outs of a professional organization and how it's ran from a players perspective, what kind of pitcher I am/aim to be, things of that sort. (It) was a great experience that I'll never forget, the city was amazing and I couldn't have asked for a better host family.. I got to see Stanley Park but didn't make it to the (Grouse) Grind and I'm not sure if I saw the (Capilano) bridge but I was on a few of them.. I was also at Granville Island and I got to go downtown quite a bit. Noyalis' off season plans include getting as strong as possible while still maintaining his mobility, and when he resumes throwing at the end of October, he wants to focus on his fastball command by getting more consistent with his mechanics. All three took circuitous routes to get there, but they've already outlasted hundreds of other players to make it to full season ball (where Noyalis will be next year). The road ahead is still a long one, and the trio faces tall odds to make it to MLB despite the progress they've made so far. All three are reflective, articulate, and motivated young men, and it has been fascinating to follow their progress so far and have them share their thoughts on the journey. The Lugnuts and Michigan State Spartans play an exhibition game every April on the eve of Lansing's home opener. This year's game was snowed out, so it was moved to the day after Labour Day, which gave a chance for prospects Vladimir Guerrero Jr and Bo Bichette to suit up for the Lugs. 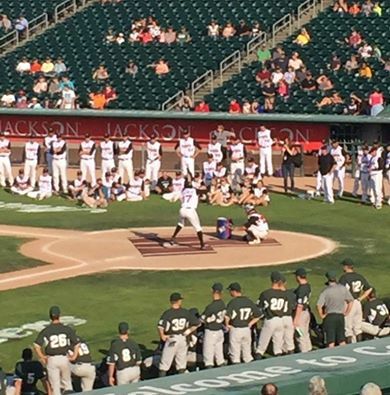 Along with Toronto's own Connor Panas, who hit 16 round trippers for Lansing this year, the three took part in a pre-game Home Run Derby. Thanks to Chad Hillman for the video. Chad watches a lot of Lugnuts and Tigers games, and live tweets his great insights. Follow him at @HillmanChad.